Change the way you experience life, one daily dose of movement at a time. Move Daily's Personal Health Coaching services are designed to be tailored specifically to your needs & goals. From injury rehabilitation, prevention, and performance, we can help you find your movement dose. The Move Daily blog is intended to give current and easily-applicable information on all things relating to movement, nutrition, lifestyle, and health. EDS is a group of disorders that affect connective tissues supporting the skin, bones, organs and tissues, resulting in varying degrees of health issues including extreme joint hypermobility & chronic pain. Pain management is complex although sound movement can play a key role. Freyja has been a Health Coach in Canada since 2006, after attending the University of Guelph for an HBSc in Human Kinetics. She works with a wide variety of clients including Olympic athletes, professional Ballet dancers, and primarily those seeking health and pain-free movement. 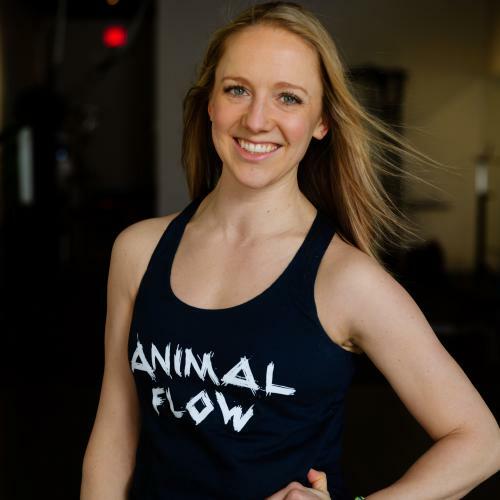 Additionally, Freyja has been involved in education for coaches, is Canada’s first Animal Flow Master Instructor, and has presented at various national and international fitness conferences. Freyja’s passion for teaching and movement stems from her years in classical ballet that started at the age of two and continued to a pre-professional level. In an attempt to gain strength and rehabilitate her own injuries, she began exploring a myriad of other forms of movement to include Olympic weightlifting, Kettlebells, gymnastics, Strongman, swimming, rock climbing, cycling, and trail running, and continues to compete in endurance races alongside her family. While at the University of Guelph, she had the unique opportunity to work for the Health and Performance Centre, thus beginning her involvement with fitness testing, athletic programs for kids, injury rehabilitation, pre & post-operative care, pain management, and athletic development through strength training. She has since worked for one of Canada’s largest Sports Medicine Clinics, using functional training to return clients to a strong and pain-free day-to-day life. Her clients range from young athletes, adults seeking counterbalance from desk jobs, to Olympic or World level athletes all of whom share the common goal of better health & pain-free movement. Freyja was also a lead instructor for DTS Fitness Education, a Canadian company delivering courses to fitness professionals across the country, whose philosophy is one of longevity & pain free living. Freyja believes strongly that everyone has the ability to be their own hero when it comes to health & fitness. She takes pride in continuing education and is always striving to empower clients to live stronger, healthier and injury-free lives. 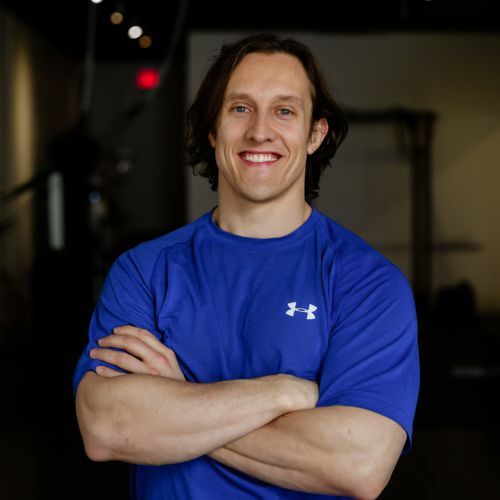 Dain, an avid strength athlete and Health Coach, attended Queen’s University for his degrees in Physical & Health Education and Health Studies. Since then, Dain completed his CSCS (Certified Strength & Conditioning Specialist) as well as both Precision Nutrition Certifications, thereby launching his career in coaching. He has continued education in the field of nutrition, has been involved in teaching, and recently completed his Nutritional Medicine Profiler through ICANS. Based out of Toronto, Ontario, Dain works with a wide variety of clients seeking to improve overall health and performance, and delivers seminars on Nutrition, Habits, and Strongman Training in privately-owned gyms. Dain began his fitness journey at the age of 10 when he grew tired of being teased as a "fat kid". He learned at an early age about calories and exercise, and how both factors played a key role in weight loss. Active in sports like soccer and golf throughout high school, he began his foray into weights while at Queen’s university and became a competitive Strongman in 2008. After a personal-best finish at the 2015 Arnold Strongman World Championships (tied for 4th), Dain suffered a tear to his patellar tendon- an injury that changed his life and view on movement patterns forever, having previously relied on pure brute strength to succeed at his sport. With Freyja’s coaching, Dain rehabbed from his knee procedures and rebuilt his movement patterns from the ground up. This painstaking process took him out of competition for well over a year but upon returning to the sport, Dain won two consecutive Canadian Strongman Championships and placed 3rd in the world (u80Kg) at the 2018 Arnold Strongman Championships. "Dain and Freyja have had a very significant impact on my wellness journey while I navigate complex health challenges. Their positive and balanced approach to life’s demands, coupled with an immense knowledge in their respective fields, is something that is rare to find within the fitness and wellness industry. 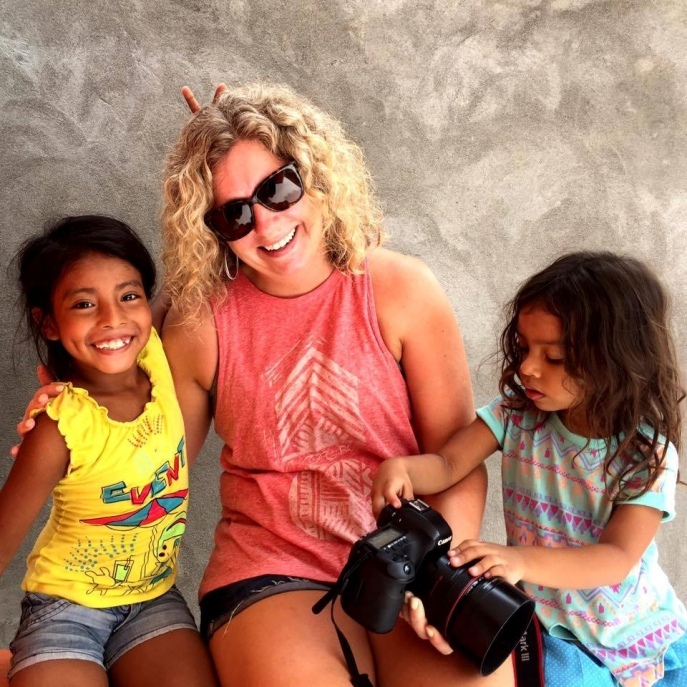 They both share a desire to learn as well as the ability to think outside the box to ensure that clients get the help they need."